This 100-pack of 4 x 4" PEC-PAD Photo Wipes from Photographic Solutions are soft lint-free wipes designed for photographic applications. They are non-abrasive and ideal for cleaning sensitive surfaces like scanners, CDs, mirrors, lenses, and more. The wipes can be used with PEC-12 or Eclipse solutions in order to get a better cleaning of film and print emulsions or lenses. However, they are not meant to be used on image sensors. Box Dimensions (LxWxH) 4.6 x 4.15 x 2.0"
PEC-PAD Photo Wipes (4 x 4", 100-Pack) is rated 4.6 out of 5 by 105. Rated 5 out of 5 by Andy from Best lens cleaning wipe I've found I highly recommend this product. It is the best lens cleaning wipe that I've fond in 18 years of full time video production. The Pec-Pad is a touch little wipe that does not leave any fluff on the lens, unlike a tissue. It's so touch that on the numerous occasions that I have accidentally left them in my pants pocket and put them though the wash, they have held together and look like new. I use them with ROR lens cleaning fluid on lenses, monitor screens, eye glasses, iPhone and iPad screens. One tip - After I clean a lens with a Pec-Pad and ROR lens cleaning fluid, I remove any streaking by breathing onto the lens and using another Pec-Pad to get a streak free, oil and dust free lens surface. Rated 5 out of 5 by Nicholas from My Go-To Wipe These are fantastic. They are far better than Kim Wipes or pre-moistened wipes. Unlike reusable microfiber clothes (which definitely have their uses), these are always going to be perfectly clean and free of dust because they're single-use. This makes them ideal for thorough lens cleaning where any pressure is applied to the glass. Using reusable clothes for this is a bad idea because you'll scratch the glass with any grit on the cloth. I use these with a single spray of lens cleaning fluid to thoroughly clean my lenses after removing all possible dust / dirt with compressed air and a brush. Rated 4 out of 5 by fugitiveALiEN from Big enough, lint free wipes for photos Great pack of wipes. They're big enough to do two sides of 35mm slides or film at once but small enough so they're not cumbersome. Only con i see is when the wipe catches on an edge of film or slide it can tear out fibers, but are easily cleaned or picked off. 100 is a lot but you might be surprised how fast you can go through a package. ;) I used them to both wipe off dust that wouldn't blow off with air, as well as remove stuck on paper/emulsion/magazine from photos in combination with the PEC Solution. After scanning in the what appeared to be damaged and irrecoverable photo I was able to rub off/peel/scrape off the stuck on mess without any problems or damage. Rated 1 out of 5 by Nick from Waste of money I bought this product based on the many many excellent reviews. I have to say that I am deeply disappointed. I bought these pads in conjunction with the zeiss cleaning fluid. I spray a pec pad and wipe the lense clean. Then take a new dry pec pad to polish it. There is no lint, but under a bright light there are thick streaks. I could NOT get the lense clean. In fact, I made it worse because the lense only had dust on it previously and now it was plagued with streaks. Thinking that the problem might be the zeiss fluid I even tested with another isoprophyl alchol and the same result. The only way I could get my lenses perfectly clean and streak free was by using a plain ole eyeglass cloth with the zeiss fluid. Save your money and buy a regular microfiber cloth and skip the pec pads! Rated 4 out of 5 by Joey Pasco from Limited experience but generally satisfied I bought these to use for cleaning my negatives (both for scanning and printing in the darkroom), as I'm still consistently seeing dried water droplets on my negs even after using Photo Flo. I was under the impression that these were pre-moistened, so I was surprised to discover that they are as dry as a bone. That said, I've found that they still do the job without needing any moistening. From what I've read, the chemical meant to be paired with these is not able to be shipped (at least not by B&H), so I'd have to go elsewhere if I'd need to get ahold of it. Luckily, I'm happy with how they are working as-is. 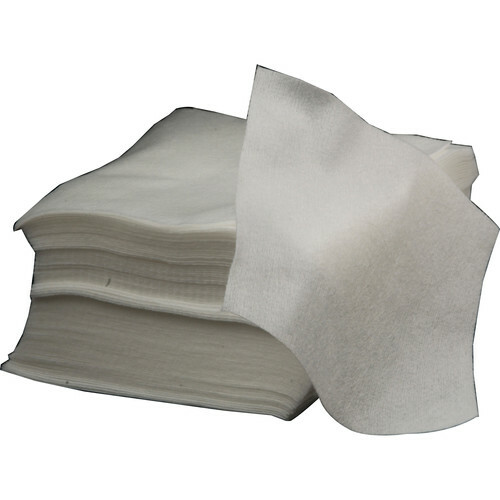 Rated 5 out of 5 by PAUL C M. from Lint-free Wipes for Film I use these pads, dipped in distilled water and Edwal LPN, to squeegee off the water from the back of black and white films as they're hanging to dry. It gets rid of extra water and prevents water spots, without scratching the film. They're pretty low-tech items, but they work. Rated 4 out of 5 by 0ld JR Shots from Perfect for Transparency Work Great for use with PEC-12. Cleans 35mm slides and negatives, 4x5 chromes and negatives, and 8x10 transparencies. Essentially any film medium. Gets fingerprints, tape, glue, marker, and pen off film without scratching. Professional and inexpensive. Rated 5 out of 5 by Frederick from Scanning is all in the details Film is a great storage medium, but as hard as I try, I can't always keep it clean. Most times, a photo wipe does the trick. I clean my negatives before scanning to save time in post production.